NEW DELHI: The most frequent question R&AW officers faced in the last 22 months was whether Kulbhushan Jadhav is really a spy or whether Pakistan’s ISI has created a web on wet weekends to trap a former Naval officer-turned-businessman and scripted a story that appears little plausible. Top R&AW sources in a candid chat told The New Indian Express that Jadhav never worked for the country’s external intelligence agency and was not even remotely connected to the ultra-secret world of spies. “An undercover trained operative never travels with original identity documents, as did Jadhav. He is given complete new identity, a new life. All that we have learned about Jadhav’s case goes against the very basic of spycraft. Reports accessed from friendly agencies give unprecedented insight into Pakistan’s drama, and they have inflated it so much that a Pakistani may believe that their spy catchers are right. The truth is he is not our man; a civilian has been subjected to extreme torture by Pakistan,” sources said. The intelligence reports shared by some friendly intelligence agencies with R&AW show that Jadhav was subjected to water boarding and Parilla-electric shock and was given a carefully worded script to read to the rolling camera. For those who work on the frontiers of espionage, the edited footage of Jadhav showing gratitude to Pakistan is crystal clear. The man trapped and abducted from Iran last year is not the same. He has been turned into a robot—emotionless and expressionless by continuous torturing by ISI and by linking him to various terror attacks inside Pakistan that were carried out by ISI-sponsored outfits like the Taliban. “Jadhav’s arrest was shown from Mashkel as if he was hunting for a goldmine in the godforsaken region. ISI tried to weave a perfect spy story because of his background, but many glaring loopholes like his real address in his passport, carrying dual identity and his fabricated adventures inside Pakistan was left for the world to see. 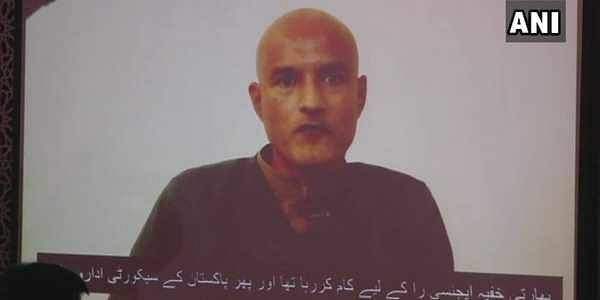 The only evidence Pakistan claims to have is Jadhav’s on-camera confession. In intelligence lexicon, we often use a word-strike force. Anyone under such kind of torture would repeat exactly what you want. If Jadhav is freed, he will say the exactly opposite,” sources said.